This weekend I hosted a garden inspired shower for my sister in law Leah. I had so much fun with all of the little details so I thought I'd share some bits and pieces. Instead of the traditional shower games I opted for flower arranging. This was a fun way to be creative and make something you could take home and enjoy! I included a recipe card with the invitation so guests could share their favorite recipe with the bride. 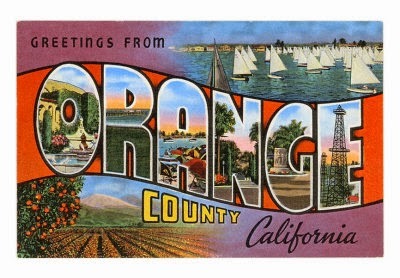 In 33 days we will be Orange County residents! I can't even believe it. We've talked about it FOREVER and always said that we would start getting serious about it at the beginning of next year. One day Tim said to me, "What are we waiting for?" There really was nothing to wait for. We spend a lot of time out there already. Our church is there, Our Friends are there and we just had an overwhelming feeling that we were "home" when we were there. We really loved living in Long Beach and after moving we never fully adjusted to our area, but Irvine is the perfect spot. I've said this numerous times, but I never thought this would happen so quickly! We spent a Sunday looking at places and fell in love with a roomy apartment with a small home feel (Our current home is entirely too big for us). To ensure we didn't jump into it without weighing our options we continued searching but couldn't stop thinking about "The One". The amenities and community alone are to die for! We went back and put a hold on our new home. On our drive back to Lake Elsinore I must have gone through every emotion possible: Excitement, Fear, Sadness, and back to Excitement. We started a pros and cons list and there were definitely more pros but I'm entirely too sentimental when it comes to certain things. Luckily we will still have our house here because we are renting it out, but I thought of all the little things like Linus' spot on the stairs and his backyard that he grew up in and knows every square inch. Not to mention my craft room, my glorious craft room! My heart gets heavier and heavier the more I think about it. BUT....There's always a but. Irvine feels like home, we have so much there already and at the end of the day, Tim and Linus are my home. We will make new memories and Linus will find a new spot and we will all be so happy. I'm thinking of it as a fresh start. This new place could be where we finally start a family and that's pretty exciting. The next month is going to be hectic and I'm sure overwhelming at times but it will all be worth it when we can take a spur of the moment walk on the beach.